It’s that fabulous day of the week where we meet a friend who lives in the water! 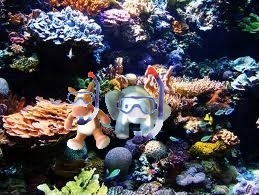 So let’s get this adventure started as we head out to the coral reefs of the Pacific Ocean to meet today’s fish that lights up!! 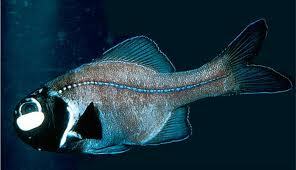 Flashlightfish have a blunt nose. They have bacteria in the organ under their eye. They can use that eyelid to communicate with other flashlightfish. 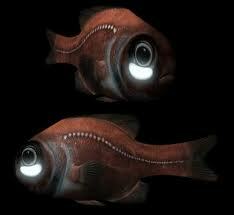 Flashlightfish spend their day in caves in deeper water. Flashlightfish are super cool! They use that bioluminescent eyelid to communicate with each other. We wonder if they know Morris Code? Elephants & Horses love to share! Sign up to get us in your email! !